Low back pain can have many different causes and can show up in many forms, ranging from mild morning tightness all the way to debilitating pain that can put you on the floor unable to move. Our approach at TexStar is to first identify what is causing your pain, which is usually one or more of the following; sprained ligaments, strained muscles, ruptured disks, irritated joints, nerve compression or inflammation. We then determine what we can do to help you recover as quickly and completely as possible. Finally, we address any underlying issues or imbalances that made you vulnerable to injury in the first place. 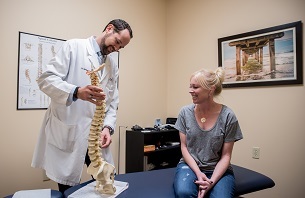 We customize our treatment to suit each patient’s individual goals and needs. So, if you are suffering from low back pain, call us today to find out if you are a candidate for our drug and surgery-free approach.